Italy’s Deputy Prime Minister Matteo Salvini refused to let the migrants off the boat until he was assured other European nations would help by taking in some of the migrants. Salvini, who is also the country’s interior minister and leader of the far-right League, is now under investigation for his role in the detention. When the boat docked at the Sicilian port of Catania last Monday, Salvini initially allowed 27 children travelling alone to leave the vessel and then 16 more people, who doctors identified as needing medical care. 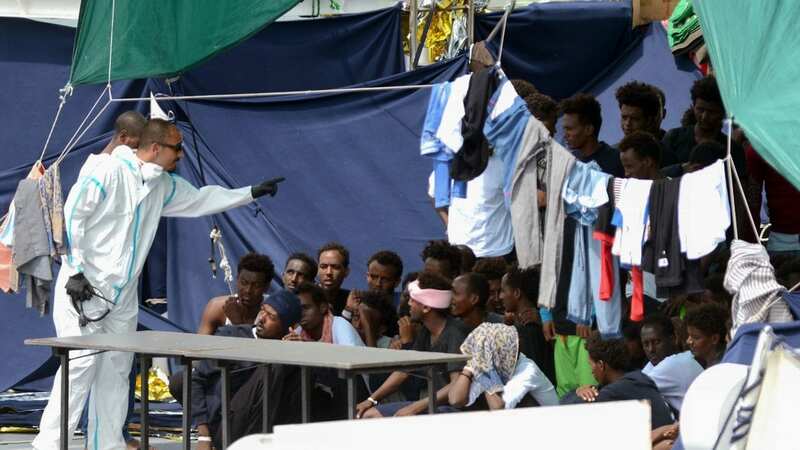 The remaining migrants were not allowed off until Salvini was assured they would “go elsewhere,” according to the Guardian. The resolution came as the U. N. appealed to EU members to “urgently” offer relocation places for the migrants. “The time has come to end the back-and-forth that has seen countries competing in a race to the bottom on who can take the least responsibility for people rescued at sea,” Grandi said in a statement. “It is dangerous and immoral to put the lives of refugees and asylum-seekers at risk while States engage in a political tug-of-war on long-term solutions,” he said. The BBC’s Danny Eberhardt told NPR that Salvini is being investigated for suspected illegal confinement and abuse of power but that Salvini shows no signs of backing away from his policy of blocking ports to migrants. NPR’s Maddalena Richards contributed to this report.